Announced by the luxury performance automaker last August, the Infiniti Performance Line™ (IPL) is an exclusive collection of specially-tuned Infiniti vehicles crafted by the company with the express intent of maximizing total vehicle performance. This month, the first vehicle to wear Infiniti’s eagerly anticipated IPL badging, the 2011 IPL G coupe, will roll off assembly lines and into the hearts and minds of adrenaline junkies everywhere. Using the sleek and celebrated rear-wheel drive G37 coupe Journey as its starting point, the new 2011 IPL G coupe (MSRP starting at $47,950), has a series of enhancements designed to provide an exhilarating and exclusive driving experience. Focusing on total vehicle performance, the IPL’s modifications stretch beyond the engine compartment to every facet of the G’s frame. From stem to stern, styling to substance, the 2011 IPL G is a driver’s dream. Under the IPL banner, Infiniti’s 3.7-liter V6 engine has been retuned and recalibrated through ignition timing and air/fuel mixture optimization to deliver more horsepower and torque; the IPL G now reaches 348 hp at 7,400 rpm and 276 lb/ft of torque at 5,200 rpm (an increase of 18 hp and six lb/ft of torque). An IPL-tuned, high-flow dual exhaust promotes noticeable smoothness, and precise control stems from a close-ratio six-speed manual transmission or an available seven-speed automatic. The G’s specially modified suspension, Viscous Limited-Slip Differential (VLSD) and sport-tuned steering setups work harmoniously to deliver exhilarating responsiveness through tight corners and wide-open straights. Outside, Infiniti’s new G gets an aggressive facelift to correspond with high-performance driving attributes, integrating aerodynamic front and rear fascias (with low-mounted foglights), dramatically sculpted side sills and a rear spoiler. Two exterior colors are offered on the IPL, Malbec Black and Graphite Shadow, both of which play nicely against the G’s sophisticated chrome grille and exhaust tips. 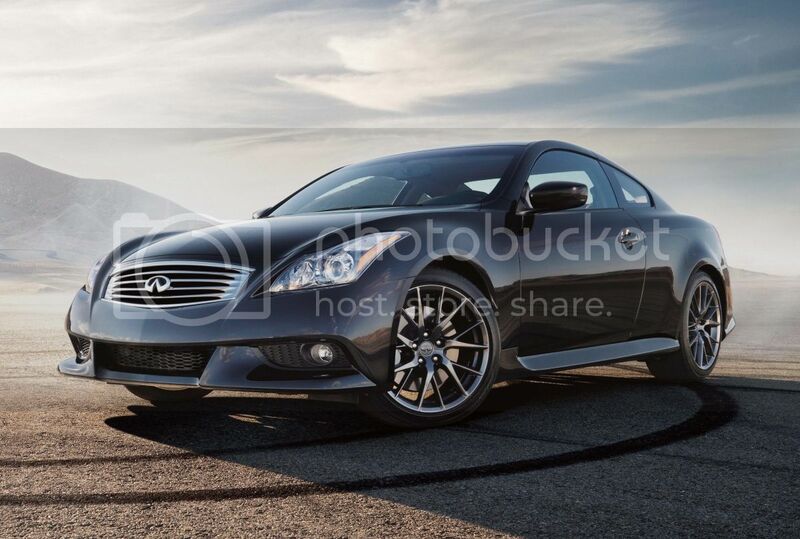 Infiniti’s IPL G coupe rides on 19-inch IPL split seven-spoke graphite-finished wheels with a set of low-profile performance tires. A power-sliding tinted-glass moonroof with one-touch operation and a sunshade is standard. The 2011 G’s exterior is complemented by a similarly imposing cabin, outfitted in either Graphite or Monaco Red leather. Red-stitched sport seats with manual thigh extensions are bolstered for added support in the thigh and torso. 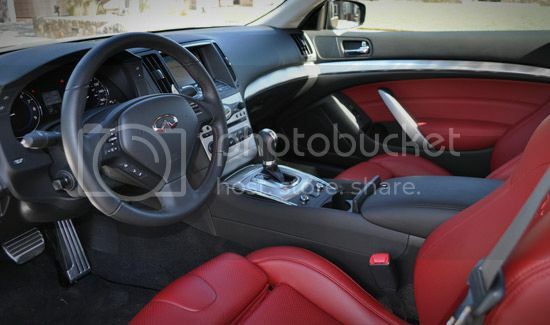 A red-stitched, leather-wrapped steering wheel, aluminum pedals and footrest and sleek aluminum trim round out the IPL G’s aggressively styled interior. Standard features in the IPL G include the Infinity Studio on Wheels® by Bose® premium audio system with 11 speakers, a 9.3GB Music Box® built-in hard drive, a Hard Drive Navigation System with an enhanced touch-screen and Infinity Voice Recognition, heated front seats and outside mirrors, dual-zone automatic climate control, a RearView Monitor and rear sonar for easy parking. An advanced memory system keeps track of your individual seat, mirror and steering wheel settings and preferences. Ripe with exclusive enhancements inside and out, the first entry into the Infiniti Performance Line more than lives up to its premium luxury-sport emblem.